The search results are becoming more conversational in nature, and the audience mainly search engine marketing professionals are constantly being told that Google is incorporating social cues into its ranking algorithms. The latest trend came in search engine ranking is very obvious with the integration of Google+ data into the SERPs which in a multitude of instances, directly effects the personalization of the SERPs. The importance and co-relation of search results connected with other social media signals such as Facebook Likes and Twitter mentions has not yet been proven. The only denoting impulse are few videos shared in Google masters help forum. In a broad opinion, these don’t have any noticeable impact on where a site appears; something that we need to call as the Wikipedia Effect. Wikipedia, the most trusted and authorized website with tons of reputations and authority factors do not have even any social buttons to share any pages. If the social signals play any important part in search engine ranking how it comes to Wikipedia. The vastly referred and linked website gets it potential visibility achieves by reputation and regular content upgradations. If a website page with huge number of Facebook likes is getting first rank in Google search engine result, does Google consider it as a widely recommended page by a great social crowd? Although there’s a high correlation between socially popular sites and high SERP position, it doesn’t necessarily imply that all such social indicators are the reason for their success. I have conducted few experiments connected with SEO correlation factors achieved by power of social media signals. In case of twitter it was absolutely true. Because I have experienced it in my case study. Twitter passed most strong signals in my case study. I have created 3 websites and conducted basic SEO optimization. The 99 percentage of off page SEO were done with social media websites. My intention was to identify the most powerful social media website passing high social authority in search engine ranking. In first site I used twitter to building its authority and boost up the website in listing Google search results. It is true that I have selected very less competition keyword topic for easy listing. After listing the website in Google, I just deleted the twitter accounts used to promote the website. Within one week, the website disappeared. I have noticed the huge search engine drop listing of sub pages of website before deleting the twitter account when I deleted some tweets connected with that sub page. On basis of seo social signals case study, I would like to mention few facts connected or correlated. Many of the tweets connected with the website URLs were achieved re-tweets, favorites, replies from powerful twitter profiles. The deletion of twitter profiles used for off page SEO activities caused damage for SEO ranking. So I confirms the power of social signals passed by twitter constituting search engine ranking. I got amazing results for my case study analysis on SEO Ranking and Social Media Signals using twitter. 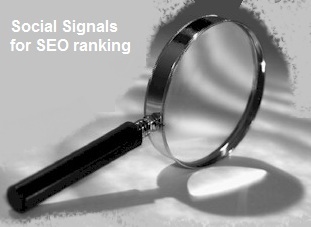 Social signals supplies confirming points to the facts identified and cached by search engines. It works like recommendations made by a social group. Don’t forget that social recommendation for the socially authorized recommendation is highly powerful than authority points passed by individuals, individual website links etc. A powerful social signal passed for a website page URL will be stronger than a link reputation passed by websites. So the social signals play high level of role than a back link signal. Google considers the power of signal as a strong recommendation so it confirms and recommend its search results. If we compare the search ranking authority achieved by Wikipedia, the Google trust already achieved by the it is very high. It’s strong level of content, addition of more volume of pages, correlating links, internal link structure, overall approval from other authoritative sides, dominate than other social signals. When I conducted same same experiment with Facebook, using a Facebook fan page, the website pages do not get listed easily. It took more time and got better SERP when the fans page got a Google page rank. And when I deleted the Facebook fans page, there was no more changes in SERP. I really still confused about the volume of social signals passed by Facebook for search engine ranking. 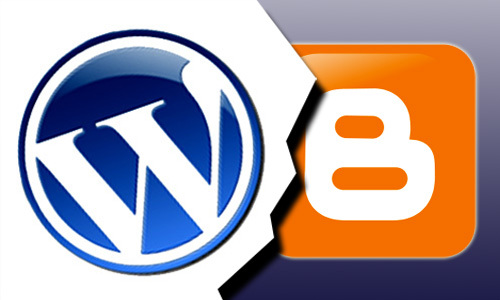 Every site owner launches attractive websites by investing huge amounts with high expectations. In fact, it does not work that easily. A productive website has lot more to do with all aspects other than just an alluring design. Effective content exhibition is a major criterion in finding organic traffic. It is only after considering several factors, a website achieves a high rank in the popular search engines as Bing, Google, Yahoo and so forth. So, it is not simple for one to create high ranking websites. It is when SEO services do the job for you by perfectly blending activities like research, analysis, producing excellent content, creating useful and genuine back links and attract traffic by a constant online presence through Social Media. It is important for one to know what exactly an SEO company can do to improve search engine rankings. First is to understand the type of clients that the site owner is looking for and work on relative content using the most common and simple keywords. Constantly monitor competitors and understand their weak aspects. A website finds business when it is technically and visually efficient. Attractive, understandable content and relevant links on the website are important as it can drive in traffic. A constant online presence is required and by approaching the right SEO Company, websites can earn traffic and generate a positive result. To cope with modern marketing strategies there are certain do’s and don’ts that one has to consider in climbing to high ranks in the search engines. The process include producing and publishing substantial content and maintaining technically efficient website. Finding place in interesting blogs and press coverage to gain popularity is a useful approach. Monitor the traffic along with earning better ranks in search engines. The dint’s are creating bad or spam links, sticking on to traditional type of marketing, aim a position without paying much attention to attract traffic and purchasing links. Play safe and do not appear on any penalty list of search engines like Google and Bing. 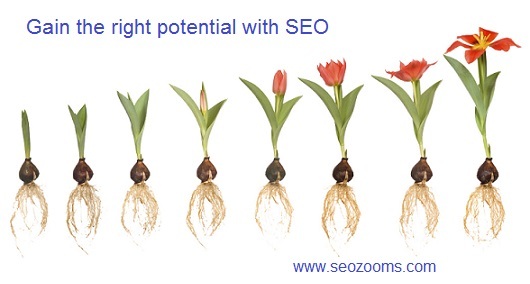 Approach the right SEO service to experience and achieve productive results.